It’s really not a secret that I’m a huge Neil Gaiman fan. I haven’t been the only person here to review Gaiman, but if you look at any of my Gaiman reviews, I swoon. So knowing I swoon, you should know that when I say a work reminds me of Gaiman, this is a huge compliment. 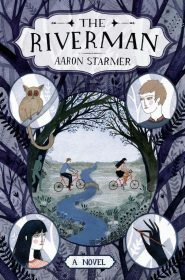 Friends, The Riverman by Aaron Starmer is filled with the same magic, mystery, and wonder that you’d find in Gaiman’s Coraline or The Graveyard Book. It’s beautifully written, it’s complex, there is danger and intrigue, and I love our hero Alistair. Alistair is a pretty typical, kind of nerdy kid whose life is simple. 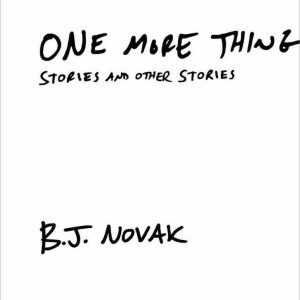 He hangs out with his even nerdier, video game-obsessed friend Charlie, he likes to write, and he has great observations of his small-town life. But Alistair’s quiet, uncomplicated life changes with the entrance of his childhood friend, Fiona. Fiona approaches Alistair asking him to write her biography, but the story sounds more like a fantasy. She tells him the tale of Aquavania, a magical land she enters where her dreams come true, literally. Whatever her imagination comes up with can be created in Aquavania. 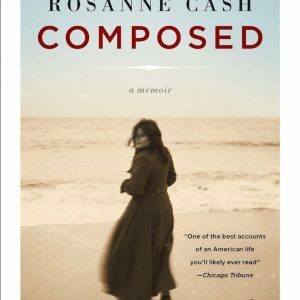 At first, Alistair believes he’s writing fiction, but the more and more Fiona tells him, the more he starts to believe her. He also starts to fear for her. One thing Fiona tells him about is the Riverman, a monster stealing the souls of children in Aquavania. When Fiona disappears, it’s up to Alistair to try to find her, either in our world or in Aquavania. First of all, the magic in this book is so mysterious, elaborate, and fascinating. I love Aquavania and that anything can happen there with just a little imagination. The idea that worlds are created by the imagination of every new visitor makes the little kid in me so excited. Secondly, the way small-town life is depicted is pretty much perfect. Everyone in a small town knows everyone, so mistakes of the past are never forgotten. We see this in Alistair’s friendship with Charlie’s older brother and when Alistair looks everywhere for Fiona, even turning his attention to her creepy uncle. The bad and good of small towns is highlighted beautifully. But my favorite thing in this story are the friendships, both how friendships form and how they crumble. Alistair and Fiona’s friendship seemed so realistic to me. They were friends when they were young, grew apart, but then brought back together because of Fiona’s weird tale. I also completely believed how Alistair and Charlie start slowly growing apart. Friendships change so much in the middle grade years and Starmer does a great job showing us this. And I also have to talk about my Fiona love. She’s smart and kooky and she has a great sense of humor. Fiona is that cool loner girl who should have a lot of friends because she’s so awesome, but who’s an outcast because she’s too much of an oddball. I loved her so much. This is the first in a series and I hope the second comes out soon because I need to learn more about Aquavania and hang out with Alistair and Fiona again.